Contact a Ventura swimming pool accident attorney if you have been injured in a swimming pool. Schedule a consultation to discuss your case. Posted in Pool accident attorney on Thursday, Jun 29, 2017. Although swimming pools can be quite fun, they can also be deadly particularly during the summer when everyone is outdoors. The average of fatal drawings in the United States has significantly increased over the past years with almost 4,000 fatal unintentional drownings every year. Most of these accidents involve children 14 years old or younger. Many surviving victims of pool accidents suffer with long-term health consequences such as learning disabilities, memory loss, and other basic functioning. Contact a Ventura County swimming pool accident attorney if you have been injured in a swimming pool. As the summer officially arrives, and people start enjoying their pool days outdoors, the risks of being injured while swimming can also increase. Statistics clearly show that the warmer months bring with them more pool accidents. More people are outdoors causing some facilities to get overcrowded. The more people the more probabilities of a fatal accident. Pools t aren’t as safe as friendly and safe as people might think. A recent study by The Centers for Disease Control and Prevention (CDC) shows that four out of five public pools don’t follow safety protocols as they should, particularly in the summer when pools are overcrowded. Lack of supervision – Although public swimming pools are not required to have a lifeguard on duty, the owners to post a sign warning people there is no lifeguard available. 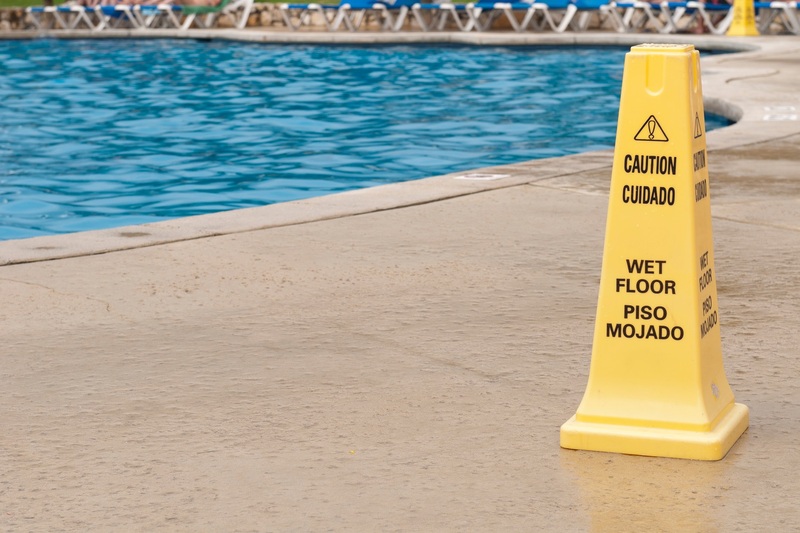 In case of an accident or if the lifeguard was negligent, the pool owner will be responsible for all injuries sustained. Intoxication – People become dehydrated when exposed to the high temperatures outdoors. Dehydration can increase the effects of alcohol causing lack of coordination and responsiveness. It’s important to monitor alcohol when swimming outdoors and staying safe. Playing around the pool – Water can be dangerous and kids should learn about it. Pools that are too deep should have warning signs. Both kids and adults like to jump and play in the pool. Although these activities are quite amusing, they can also be dangerous. Problems with security – Pools need to be fenced in order to prevent kids or any other guests from tripping and having an accident. Injuries in swimming pools during the summer season can happen to anyone. This is why it’s important you are prepared to protect your rights with a good Ventura County swimming pool accident attorney. An attorney who understands your particular situation will carry you through the whole process from filing your claim to receiving compensation. Contact us today and obtain the compensation you deserve.